These terms and conditions govern your use of the www.manfrottospares.com website (the "Website") and your relationship with the owner and operator of the Website, Studio1 Limited, a company incorporated under the Companies Acts, registered number 06900186. (Variously referred to as the "Website" or "we"). By using the Website, you agree to be bound by these Terms and Conditions. For orders placed from within the EU, VAT (Value Added Tax) will be added at UK rates. VAT does not apply to orders that are to be shipped outside the EU. Please note that local tax and customs duty may apply. For full details please consult your local Customs office. Whilst we do our best to ensure prices are correct and up to date, errors may occur and in this case you will be contacted before your order is shipped. We accept payment by Paypal credit/debit card secure payment service. Your credit/debit card details will be collected by Paypal. Your credit or debit card will normally be charged at, or shortly after, the time that your order is placed. Card charges will appear on your statement as Studio1 Ltd.
Payment can also be made with a Paypal account. 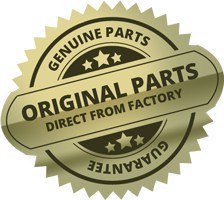 If a parts availability status is 'Out Of Stock', you can still place an order, which will be sent to you as soon as the product becomes available. To the full extent allowed by applicable law, you agree that we will not be liable to you/or any third party for incidental or consequential damages or expenses. This includes, but is not limited to, lost income, profits, economic or commercial losses, damage to property, and third parties claims. The content of the Website is protected by copyright, trademarks, database rights and other intellectual property rights. Storage of content in any form (including electronic form) is strictly prohibited. You may not reproduce, modify, copy or distribute or use for commercial purposes, any of the materials or content on the Website. These Terms and Conditions will be subject to the laws of England and Wales. We will try to resolve any disagreements quickly and efficiently. If you are not happy with the way we deal with any disagreement and you want to take court proceedings, you must do so within the jurisdiction of the English Courts. We will be happy to refund or exchange any parts if they do not fit, you've ordered the wrong parts, or you simply don't want what you've ordered. Parts must be returned within 60 days. A refund will be given on the parts ordered less a 5% charge to cover Credit Card processing costs. Postage is non-refundable. The parts must be returned at your cost. If you decide you no longer require the parts ordered and they have not yet been shipped a full refund, including shipping costs, will be given.